Not all paper straws are created equal! 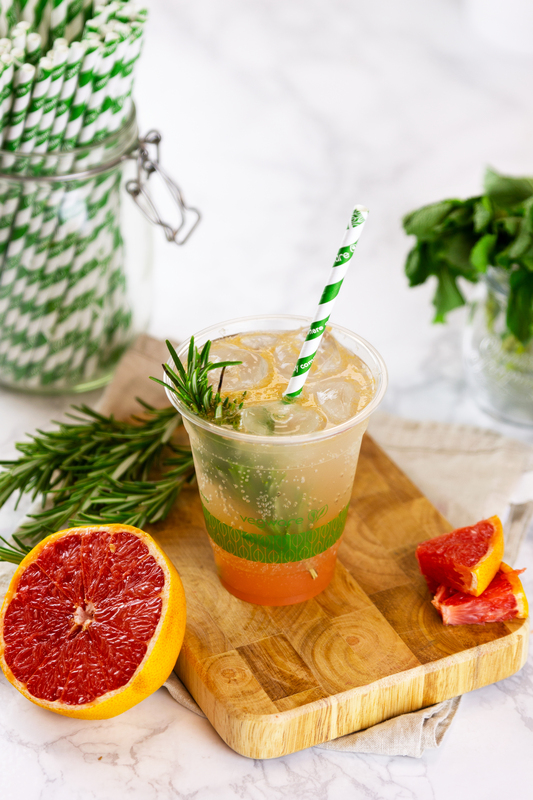 Vegware’s new paper straws are high quality, food safe and keep carbonated drinks fizzy for longer. Plastic-free, made with 100% premium quality paper. A range of sizes to suit all your cold sodas, juice and smoothies, in 6mm, 8mm or 10mm diameter. Our 6mm cocktail and highball styles are ideal for sipping cocktails. Our 8mm jumbo and 10mm jumbissimo straws are perfect for slurping smoothies or thick milkshakes. Available in matt black or striped designs in aqua or Vegware green. Show your commitment to sustainability with the on-pack composting messaging in our striped design. Choose our wrapped, classic white straws for takeaway. Sturdy and long lasting – all sizes are 3-ply with Jumbissimo being 4-ply. Made in the UK from sustainably-sourced certified paper.